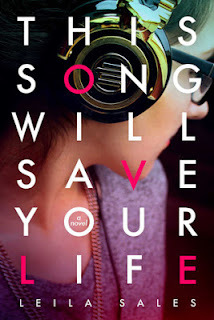 We're very excited to host the kick-off of Leila Sale's blog tour for her newest novel This Song Will Save Your Life. Leila's here today with a special guest post for our readers. Also, be sure to check out Jessica's review here. 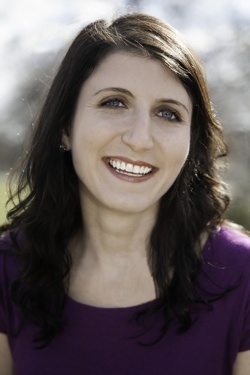 Leila Sales is the author of This Song Will Save Your Life (September 17, 2013, Farrar Straus & Giroux Books for Young Readers), as well as Past Perfect and Mostly Good Girls. In my new novel, This Song Will Save Your Life, 16-year-old Elise stumbles across an underground dance club where she makes friends for the first time ever, discovers a passion for DJing, and finds a reason to go on living after a failed suicide attempt. The club she finds is an indie rock party called Start. What you probably don’t know, unless you lived in Boston in the early ‘00s, is that Start! was once a real indie rock dance party. I have fallen in love with many dance parties in my life, and you can see a number of them listed in the acknowledgements at the back of This Song Will Save Your Life. But Start! will always hold a special place in my heart because it was the first party I ever felt that way about. My friends and I started going to Start! in the spring of 2002, as soon as we could legally get in. I don’t remember how we heard about it, though I know for sure that I was not the one who discovered it. I didn’t exactly have my “ear to the ground” for cool indie/electro nightclubs. In fact, I had never even been to a nightclub. I had been to some school dances but, as a general rule, I hated them; school dances made me anxious. I think my friend Allie was the one to discover Start!. At the time she was a member of what I believe to be the first-ever social networking site, makeoutclub.com, which was founded in the late 90s by Gibby Miller, who also created Start!. I assume that’s how Allie heard about the party, and she brought the rest of us there. 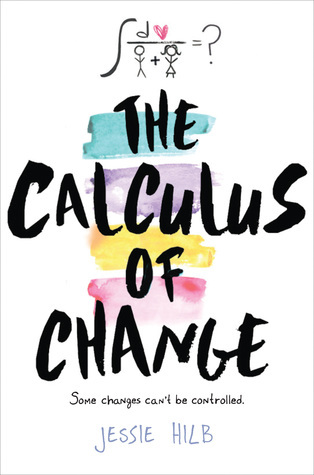 As you may have figured out if you read my novel Mostly Good Girls, my friends and I went to an all-girls high school. We didn’t know many boys, we didn’t know older kids, we didn’t know much music that wasn’t Dave Matthews Band. Start! changed all of that for us. I never had a meteoric rise through nightlife culture at Start! in the way Elise did. I never once spoke to the DJ or the booker or any of the exciting bands that came through there. I didn’t make friends with the bouncer. Instead I danced in a circle near the edges of the room with my high-school friends, and I can’t imagine I had any impact on anything that went on at that party—but it had an impact on me. Since then I’ve thrown dance parties for hundreds of people, I’ve booked DJs, I’ve kissed DJs, and I’ve danced to Blur’s song “Girls and Boys” at least as many times as Char has in the book—but if I had to choose, I would probably still point to Start! as the most influential party in my life. I hope that reading This Song Will Save Your Life gives you at least a taste of the experience that I had there. To help with that, I’ve created a Start! Spotify playlist: Start. These aren’t all songs that Elise would play or even know, but they are all songs you could have heard on Lansdowne Street in Boston, Massachusetts, shortly after the turn of the century.